Tracy here again. 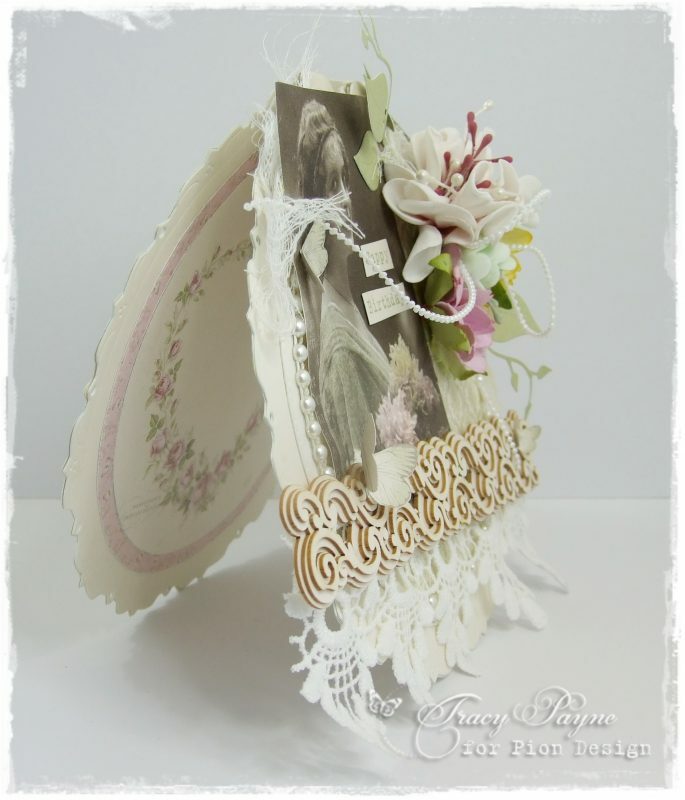 My sister loves vintage and green so I tried to incorporate them into this circular birthday card. The leaves were diecut using Pion Design Palette Green I. 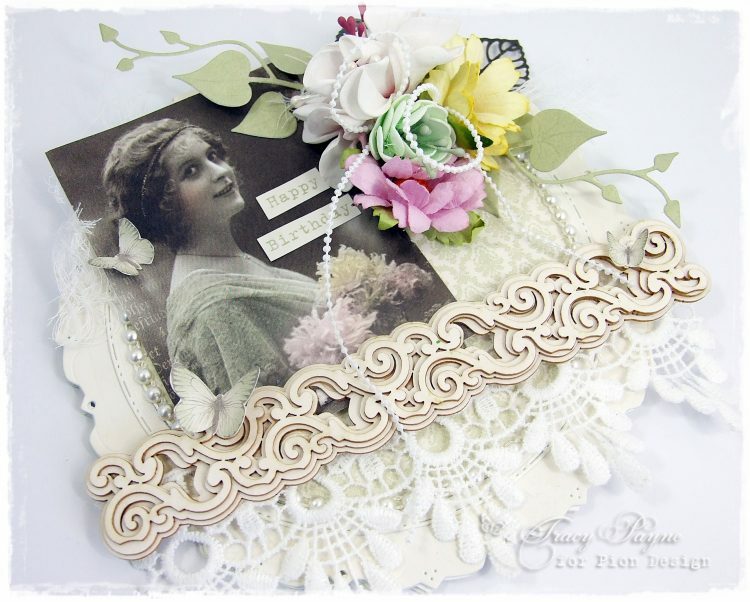 The main focus is the vintage image from Grandma’s Attic Tinted Bouquet. 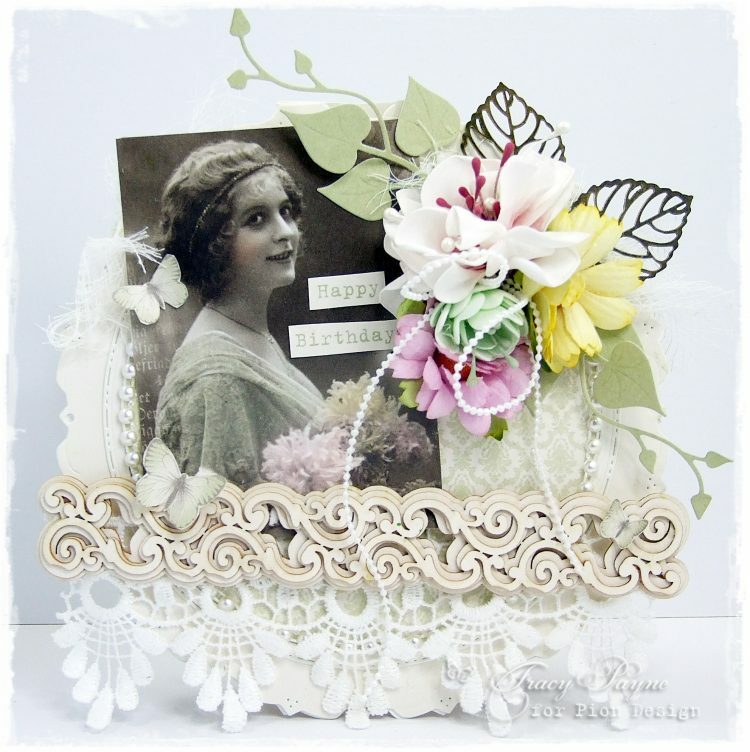 The inside was decorated using Where The Roses Grow “With all my Love” and butteflies from the “Borders” sheet.